Susi Studio has made it their mission to make sustainable vegan footwear accessible and stylish, and they are succeeding! We discovered Susi Studio on Instagram and immediately fell in love. We live for pieces that feel timeless and yet are super modern and fresh. Here are our favorite early autumn transition styles, we think you'll want to add to your collection. These classic sandals have a modern twist with color blocking yellow in the heel, just subtle enough to make these a keepsake style. Mules aren't going anywhere any time soon. Give your fringe or woven mules a rest and swap for a vegan leather classic this fall. These dreamy boots come in black or camel vegan suede. We are digging the vintage vibes in the camel though, perfect for the 70's vibes we will be seeing a lot of this fall. A classic wardrobe staple. Oxford shoes will always remind me of kindergarten in the best way. 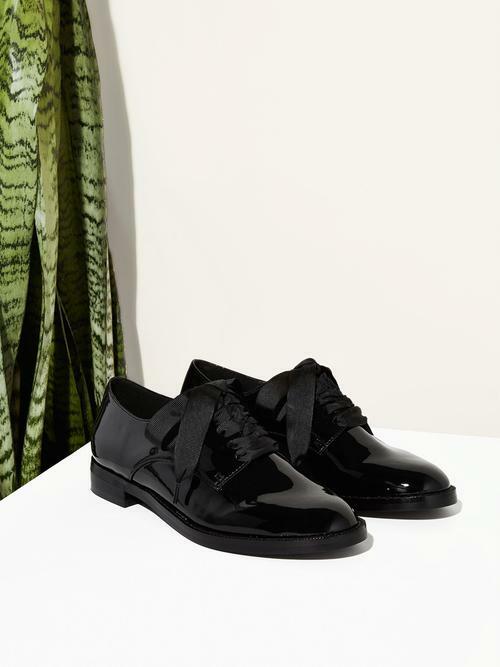 Susi makes this gorgeous pair of vegan patent leather that are perfect for any occassion, dressed up or worn casual. These are some tall heels to fill, but I have these in my collection and the padding is wonderful. The T strap makes them easy to walk in -for those who haven't worn heels this high in almost ten years- aka me. I can't believe that these are vegan. The quality of the "leather" is soft and buttery and feel like a luxury shoe. Another shoe I have added to my collection already. Again, another super tall heel, but the ankle strap definitely helps make these wearable for nights out or short walking distance days. I love the canvas upper with the textured espadrille platform heel. Burgundy vegan suede will be the perfect contrast to fall's animal print frenzy. These heels are a true match for a leopard print slip skirt or jeans and vintage tee. Just a heads up the 'Hey Simone' burgundy heels and 'Billie' camel boots are BACK IN STOCK, but most likely will not last long so grab them while you can.